A periodontal probe is gently used to measure the pocket or space between the tooth and the gums. The depth of a healthy sulcus measures 1-3mm and does note bleed. 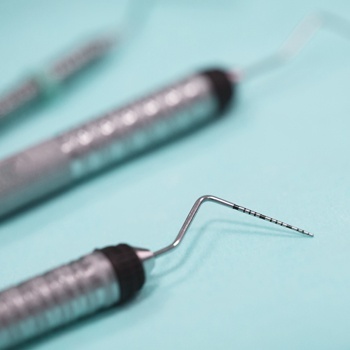 The periodontal probe helps indicate if pockets are deeper than 3mm. As periodontal disease progresses, the pockets usually get deeper. Gingivitis is the first stage of periodontal disease. 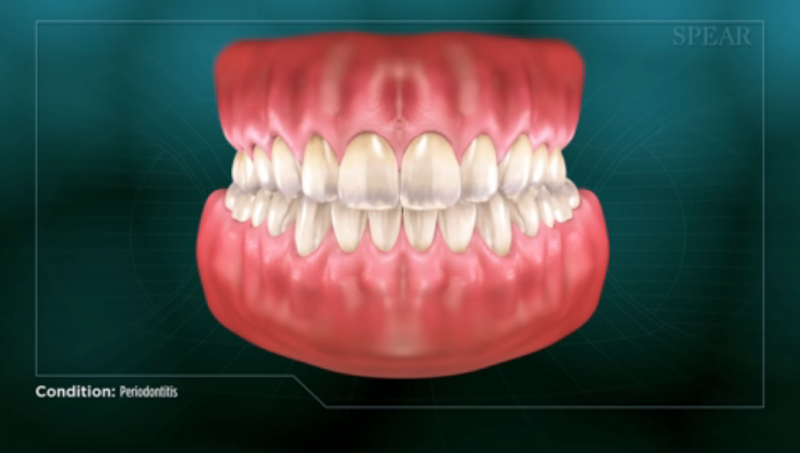 Plaque and its toxin by-products irriate the gums and cause them to swell, be tender and bleed. As the bacteria and toxins inhabit the area below the gum they continue to grow and multiple creating deeper pockets, 6mm or more, and advanced bone loss. There is often an odor associated with this disease, along with inflammation, bleeding and recession. If the pockets do not heal after scaling and root planning, periodontal surgery may be required to reduce the pocket depths, making the teeth easier to keep clean in the future. Once your periodontal therapy has been completed, your dentist and hygienist will recommend that you have regular maintenance cleanings up to four times a year. At these cleaning appointments the pocket depths will be carefully checked to ensure that they are healthy. Plaque and calculus that is difficult for you to remove on a daily basis will be removed from above and below the gumline.